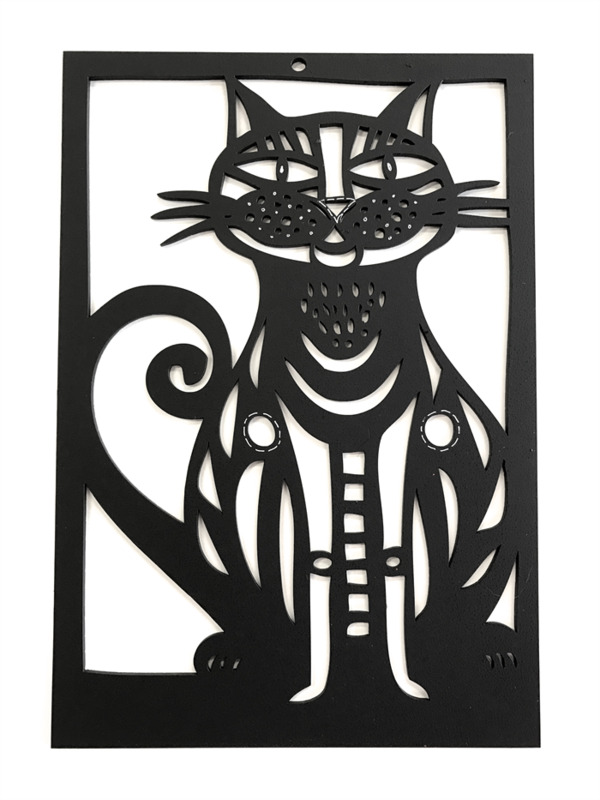 Cat is a woodcut from an original design and measures 30cm in height. Looks great hanging on the wall, in a window, or as a mobile. Perfect for the cat lover!